Your Local Rockwall Roofing Contractor! We Service All Types of Roof Sytems! When storms roll through, in North Texas, don't get caught without Rockwall Metal Roofing - Rockwall's Premiere Roofing Company! Call us for a free estimate if you think your roof may have been damaged by high wind damage, hail damage, and other storm damage. Spring weather can bring storm after storm, beating on your roof and causing problems for you. We'll check it out - AT NO COST and no obligation! A leaking or damaged roof needs immediate attention, especially as frequently as Major Storms occur in Rockwall, and the surrounding area. For all your Residential Roof Services or Commercial Roof Services, call Rockwall Metal Roofing! Our Professional Team of Skilled Contractors have over 13 years of Experience on roofs and in homes in the DFW Metroplex. 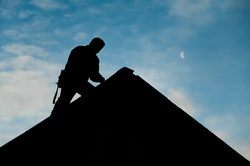 We also have an experienced team of Insurance Professionals to make your new or repaired roof as painless as possible. We offer Free, No Obligation, Estimates for all of our customers on any roof damage! 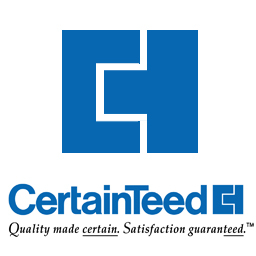 One specific thing we think is important, is Customer Satisfaction. Our job isn't complete until the client is 100% Satisfied. We will stop at nothing to make sure we have exceeded your expectations. Why Use Rockwalls Top Roofing Company? 1. 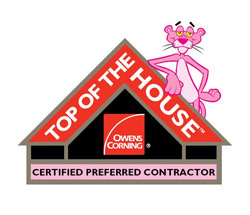 We Provide Results - When you've choosing a Respectable Roofing Company, you're choosing the people behind it. Rockwall Metal Roofing has become the company that people turn to for results. 2. We Have Experience - With over 11 years of Experience in Roofing, Contracting, Construction, and Home Improvement, our Contractors have Quality to bring to the table. 3. We are Owner-Involved - Because Rockwall Metal Roofing started as a Locally and Family-Owned business, our owner has a reputation at stake. All our clients talk directly with him, being assured your project is both, cost and time effective. 4. We understand your Needs - We may not yet, but before any project, we make sure to fully analyze what you are looking for - which saves time and money in the long run. 5. We only use "High-Standard" Subcontractors - The success of any project is highly dependent of the subcontractors. We have close relationship with whom we choose to do work with. We hire only Loyal, Experienced, and Dedicated Subcontractors. 6. We know you don’t need Surprises - At least, not on your roof! By 'surprises' we mean those costly expenses you didn't know about in the beginning. Rockwall Metal Roofing stands against surprises; we avoid any unexpected expenses. 7. We are Innovative - For any Construction project, a level of Creativity is needed. Our Contractors are Resourceful and can tackle any Project Management issue. 8. We offer Expert Service - No matter the size of your project, whether Residential or Commercial, we guarantee you will receive the very best service DFW has to offer. That is our promise to you. 9. We survive on Customer Satisfaction - The only way to stay in business in this market is to prove ourselves. With High Quality Products and Services along with Expert Contractors, Rockwall Metal Roofing aims to please their customers. 10. We Understand Budgets - As one of many Roofing Companies in Rockwall, we know we must have competitive prices. Our Customers deserve it. We also help with Insurance Claims to relieve that headache. Call for a Free Roof Inspection and Estimate in Rockwall, Garland, Mesquite, Rowlett and the surrounding Cities! Do you need your Asphalt Shingle Roof Replaced in Rockwall? We offer Asphalt Shingle Repair and Replacement all across Rockwall, Mesquite, Garland, Rowlett and the surrounding cities. As a local Roofing Contractor in Rockwall you don't have to worry about your Roof not being replaced or repaired properly. If there are issues with your Shingles leaking, damaged Shingles or other issues, we can fix it. Composition Asphalt Shingles are also called (3 TAB shingles) because they are made with three cuts and appear to have three singles in one sheet. Composition Shingles are cost effective, durable, long lasting, easy to install, easy to repair and is one of the most popular roofing materials in Texas. There are many Roofing Contractors in Rockwall, but not many that will offer you the warranty on their Roofing like we do. If you want the best Roof Replacement in Rockwall for Residential Roofing and Commercial Roofing, we are here to take care of you. Is your Flat Roof in Rockwall leaking or have storm damage? Has your Business Flat Roof received Hail Damage, Weather Damage or Storm Damage? We are your go to commercial roofing Rockwall TX Contractor! We offer full Commercial Flat Roof Repair in Rockwall, Mesquite, Garland, Rowlett and the surrounding cities. When you want to replace or repair your Flat Roof in Rockwall you need a quality, reliable Roofer. Flat Roofs can leak and have issues if not Replaces or Repaired properly. With the strong sun, winds, hail and other Texas Storms, you need a quality Roofer. We are the top Rockwall water damage repair company, call us today. Flat Roofs can dry out, crack, weather and have issues causing major damage to your Business ceiling and furnishings. A strong, quality Flat Roof repair is what we provide. Don't settle for just any Commercial Roofer in Rockwall, only hire the best. We are here for all of your Flat Roof Repairs and Replacements. Metal Roofs can last for year and years, giving your Home or Business a great Roof in appearance and function. Metal Roofs hold up against the North Texas Storms, Hail, Wind, Sun and other Damage. Not all Metal Roof Material is the same, and we can help you choose the right Metal Roofing material for your Home or Business. Metal Roofs look great and can give your Home protection for years to come. Metal roofing material comes in many types of shapes and sizes. You can choose from many varieties of Colors and shapes of Metal Roofing Material to make your home look great! Roofing Rockwall TX is able to Repair and Replace Commercial roofs and Residential Roofs, providing Insurance Claim help and more. ROOF INSURANCE CLAIMS CAN BE TRICKY, WE CAN HELP! Many Roofing Contractors in Rockwall, Tx, don't offer the knowledge for your Home Insurance Claims! We will walk with you thru the whole Insurance Claim process so you get the Insurance Money you deserve. We have helped hundreds of DFW and Rockwall Home Owners to get full Roof Replacements and Repairs in Rockwall, Mesquite, Garland, Rowlett, and all across DFW. We work hard to make sure that your Home is completely repaired from whatever Storm Damage, Water Leaks, Hail Damage, or just Weather damage. We will make sure that all damage or issues are included on your Rockwall Insurance Claim, and work directly with the Insurance Company and Adjuster for you so that we make sure you get the Insurance money you deserve for your Home or Business Roof. This is one of the reasons our Customers love us, and is one of the reasons that we consistently grow as one of the best Rockwall Roofing Contractors.